Black Angus Steakhouse Orlando is the kind of place that transforms a regular night out to dinner into a night that makes lifelong memories. Perfectly combining upscale posh and laid back kitsch, the steakhouse gives you the feeling of walking into a place that knows how great it is but doesn’t take itself too seriously. That’s exactly the vibe my family and I felt when we visited Black Angus Steakhouse Orlando for a night of great food and great company. 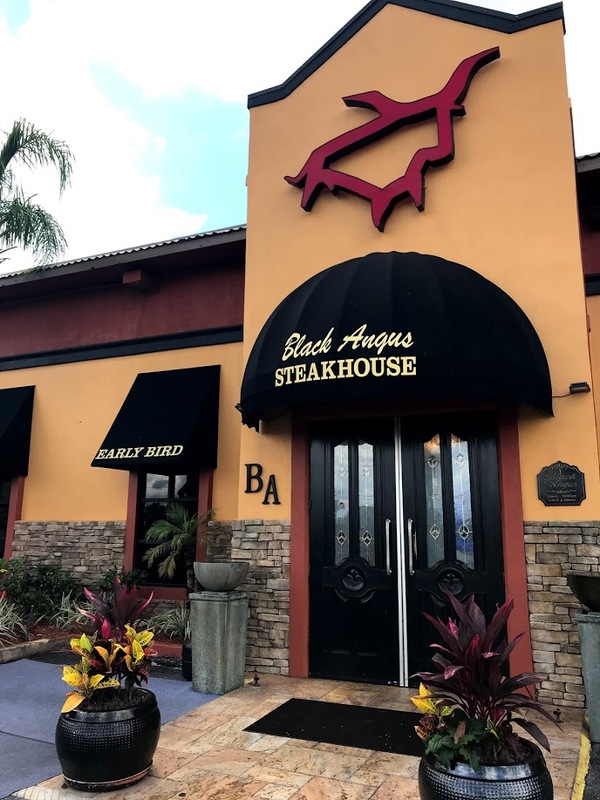 Not to be confused with other Black Angus Steakhouses, Black Angus Steakhouse Orlando is locally owned and operated, and that local flavor really shines through. Unincumbered by corporate hooligans and suits with big ideas, Black Angus manages to keep it posh and easy-going all at once. The moment you step out of the car, you’ll see the unique character of the restaurant on full display. A cowboy on horseback and a Black Angus cow are both waiting by the front entrance to welcome visitors. 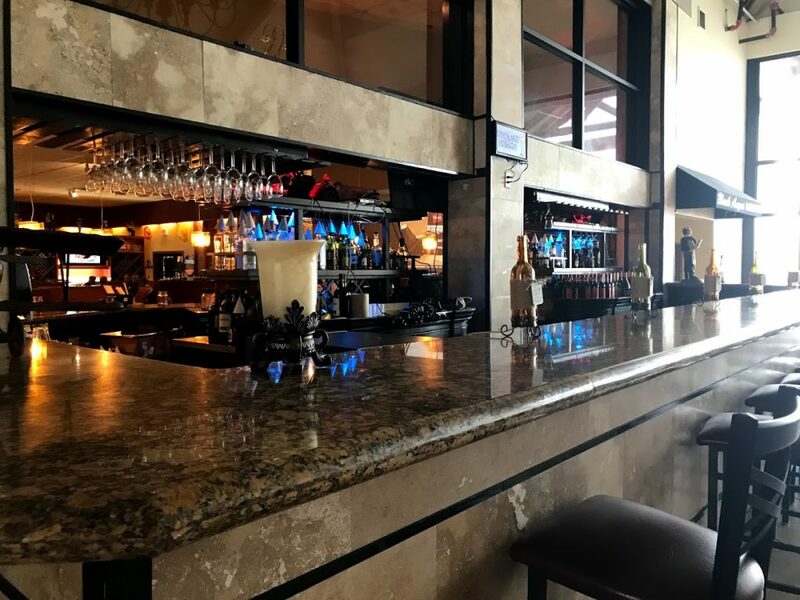 Walking into this eclectic establishment, you’ll see a sleek bar area with clean lines and gorgeous granite countertops that screams elegance. There’s even a waiting area offering comfortable furniture with a modern flair. Black Angus manages to keep the atmosphere friendly by balancing the posh bar with touches like a mini bar made to look like the front end of a car, old guns hanging on the wall, and even a Blues Brother for good measure. All told, the combination makes for a restaurant that almost dares you to indulge in your quirky side. 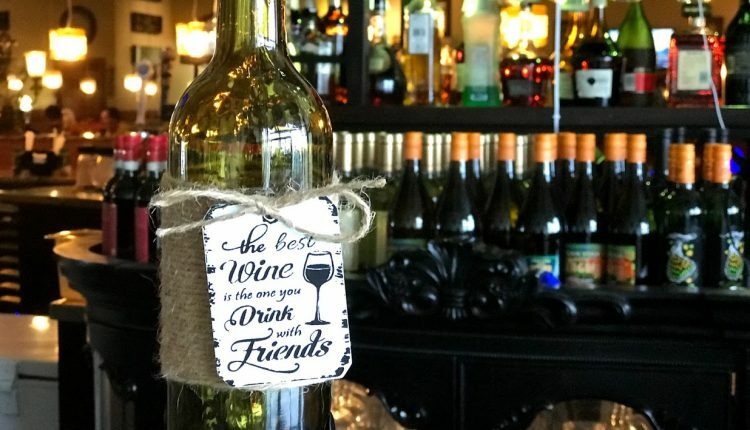 Slide up to the bar and snag a signature cocktail, the head back to your seat and enjoy a meal while you talk about what’s happening with your family or maybe even where the heck they found all those guns and statues for the restaurant. 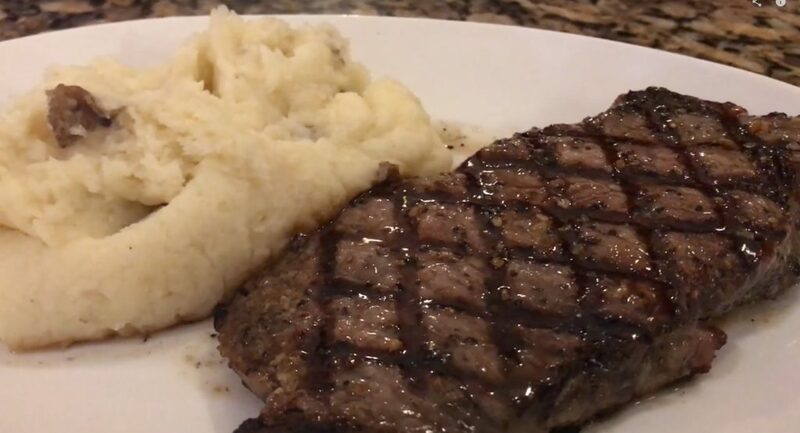 It may be called a steakhouse, but Black Angus has almost anything a foodie could ask for. 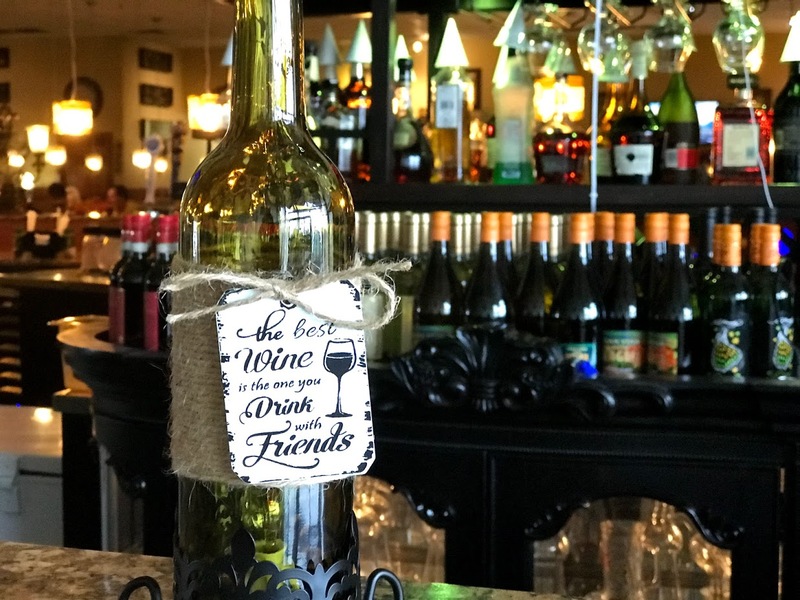 Their menu carries all the favorites you’ve come to expect from a steakhouse like fried mozzarella sticks and stuffed mushrooms. For lunch, enjoy a variety of sandwiches like their signature steakburgers or chicken sandwiches. Pasta lovers can indulge in linguini with shrimp, chicken, or steak; spaghetti and meatballs; or chicken parmesan. Dinner is where foodies will really get their fix. Offerings include thick, juicy steaks; chicken options; fish; shrimp; lobster; and snow crab. Finish off your dinner with a variety of indulgent cakes and pies from their dessert menu, as well. I cannot recommend Black Angus more highly. While there, I learned first hand just how delicious their food is. We were in food Heaven, as we chowed down on some of the best food any of us have ever had in any restaurant. The House Steak Early Bird Special was cooked to order, and perfectly, I would add. 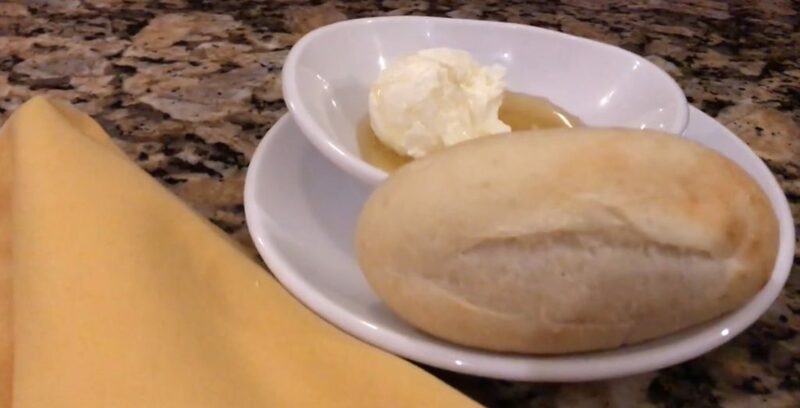 It was served with mashed potatoes, homemade bread with honey butter dipping sauce, and carrot cake. 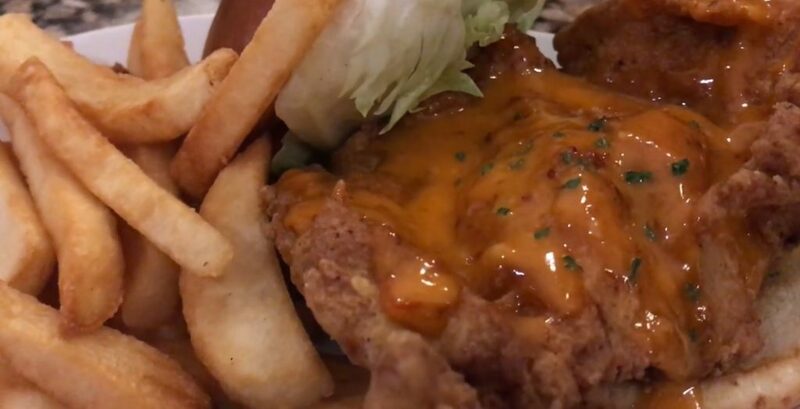 The Boom Boom Chicken Sandwich served with lettuce, tomato, onion, and pickle and a side of steak fries was absolutely delicious. The “boom boom” comes from the spicy sauce they add to the sandwich. It’s just the right amount of heat. Finally, the meal was topped off with their Key Lime Meringue Pie. This traditional Key Lime Pie is made with authentic Nellie and Joe’s Key Lime juice and perfectly prepared graham cracker crust. The toasted meringue atop the pie is the final piece that makes this pie really shine. 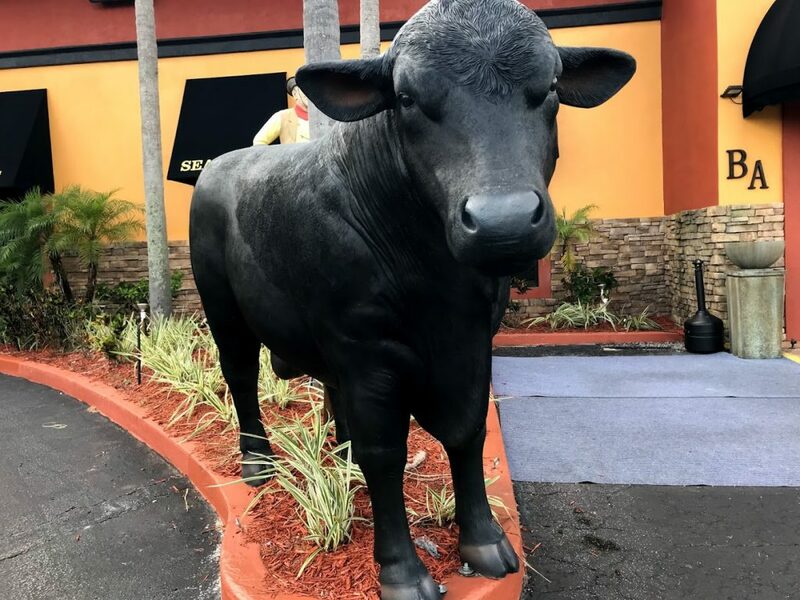 Black Angus Steakhouse Orlando is a must-visit restaurant when staying in the Orlando area. It offers an atmosphere that is hard to explain and even more difficult to pull yourself away from, and the food is outstanding. 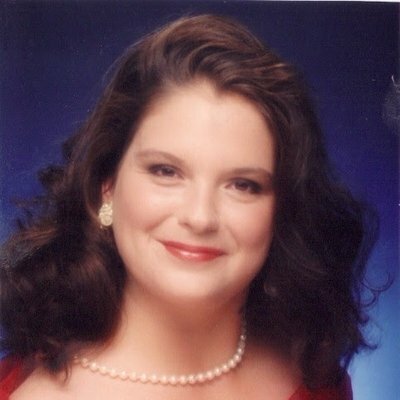 I highly recommend the restaurant. It’s one of those places that ticks every box on the list no matter who you are.